It all started with Dies the Fire, when "the lights went out," or when electricity stopped being useable to mankind. S.M. 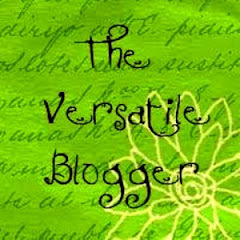 Stirling's alternative fiction series took off, Earth's population of billions plummeting, a few survivors creating enclaves with unique characteristics, and a new definition of normal arose. 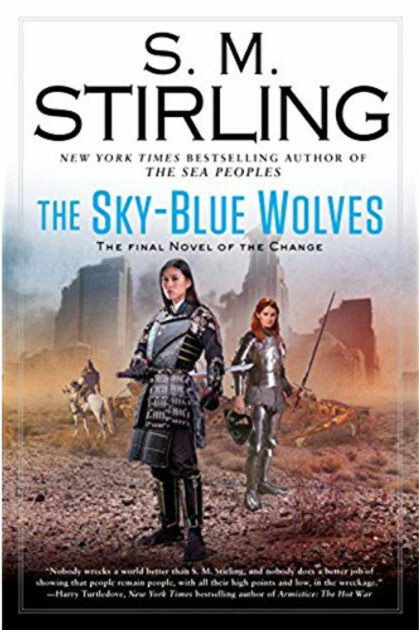 Readers of the Change series followed three generations through fifteen novels and one anthology until arriving at The Sky-Blue Wolves, "the final novel of the Change," as is clearly pointed out on the cover. I've followed the series and have read all its books, including the Island in the Sea of Time trilogy, which is loosely (or indirectly) connected, as the tail-side of a coin is indirectly connected to the head-side. Having read the final novel of the series, the biggest question is whether or not the novel provides closure. A secondary question is whether or not the novel stands on its own. In order to answer the closure question, the structure of the Change series has to be considered. The first three novels of the series follow the first generation of survivors after the change. Action is centered on the different solutions different communities utilized and how those solutions shaped the personality of those communities. The initial trilogy chronicles the building of a new civilization in the Pacific Northwest and on the interactions (and wars) that occur. New centers of humanity arise and come to conflict, high among them the Mackenzie Clan and the Portland Protective Association, a Wiccan, Earth-magic community in conflict with a medieval, steel-gauntlet society. The next seven novels center on the second generation, a battle between good and evil, and how the Change was not a one-shot event, that the initial Change "opened a door" that continues to widen into an age of myth, replacing the age of history. Forces are active that have been quiescent; gods once again walk the earth. The conflict extends, including western Canada and Iowa, all points between, yet also including action in the form of a quest that takes the characters through "dead zones" clear to the eastern seaboard and Nantucket Island. 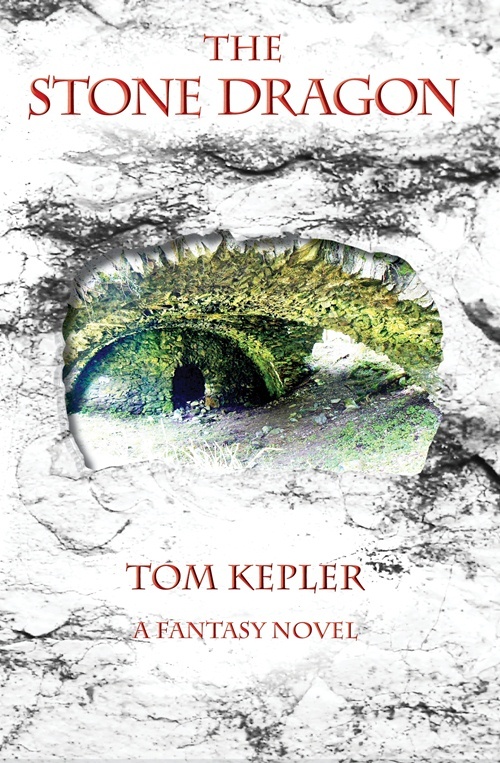 The last five novels of the series follow the third generation. A new conflict has arisen and the new generation must meet it as have their parents and grandparents. Does The Sky-Blue Wolves provide closure to this sweep of Change and the evolution of new societies, where "modern" comes to signify medieval, or at least low-tech? The short answer is that yes, the novel does provide an ending to the series. A great deal of the series revolved around how civilizations form around the personality of a charismatic leader or around a compelling idea. Stirling in all the novels returns again and again to this idea: that tradition provides continuity, and that the stability of continuity provides a platform for growth. 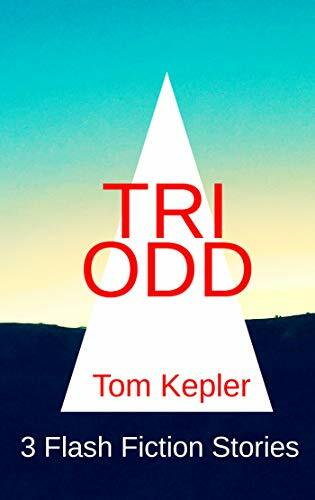 A great deal of this final novel weaves the sweep of time and the significance of the foundations of these new societies into the action of the novel. Because of the novel's structure, at its end, the significant understanding is that the events of the novel fit into a larger pattern that will continue. There's a certain wisdom to that: knowledge of how life will continue is tempered by the sweep of experience of the earlier novels. With all this "sweep" of fifteen novels, does The Sky-Blue Wolves firmly stand on its own as a story within itself? The first novel of the series, Dies the Fire, ends well, with stability achieved and a sense of how these newly-formed societies will continue. Stirling adds an epilogue to the novel to set up its sequel, but the novel ends well on its last chapter, the characters want to get home and continue on with their new lives. In the final novel, right at the end one of the characters says, "It's an ending, I suppose. And a beginning . . ." The series ends, yet the saga continues in our imagination. 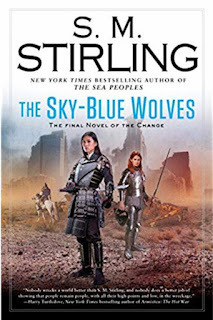 The Sky-Blue Wolves has the challenge of ending the events of fifteen novels yet still having its own ending. It accomplishes that, yet the actual action of the novel has to endure the stifling effects of reiterating events from earlier novels (why a character or place is important) and providing or explaining perspectives to the action that justify the foundational concepts of the entire series. The action is necessarily dampened or truncated by the overriding awareness that this is the final novel. Also, this final novel is shorter than many of the other novels--one of the shorter ones. Whereas the earlier novels relied a great deal of swordplay and battles, this novel remained above the fray most of the time, and the ending battle didn't live up to its build-up. It's as if Stirling had to come up with a comic ending in order to enchant the reader away from the characters and action. So, yes, the novel ends well, but perhaps it would be more apt to say the series ends well. Perhaps this is the great challenge of all novels that form a series, that latter novels have to use too much dead wood from the former. Perhaps that is why the feeling lingers in the background of the novels of the third generation of the Change that the author has grown tired or run out of new ideas, that the children are less vivid knock-offs of their parents. If I wanted to be harsh, I'd say this series began with a bang and ended with a whimper. However, as someone who has read the entire series, I do feel comfortable at its ending--good has triumphed over evil, life has triumphed over death, and the sky-blue wolves of the Mongols are once more howling down the mythic ends of the earth. To shift to another epic story, Beowulf is in his burial mound, and Wiglaf, a lesser man, carries on, sword in hand. We don't know Wiglaf's story and don't really want to. The real heroes remain the stirring stuff of legend, and the rest of us just get on with our work as best we can.